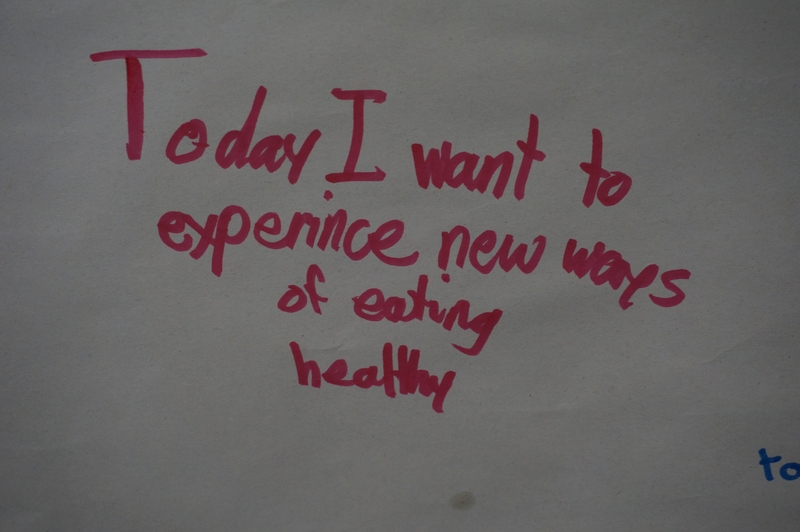 What are sixth-graders interested in these days? “Cooking!” “Growing food!” “Learning how to be healthier.” “Exercising.” “Meeting new friends!” These enthusiastic answers came from sixth-grade student leaders in Santa Maria, Calif., when asked by educators from the UC Cooperative Extension Youth, Families and Communities program in San Luis Obispo and Santa Barbara counties. Through an integrated youth-focused healthy living project, called Food Smart Families, funded by National 4-H, the UC ANR 4-H Youth Development Program, and the UC CalFresh Nutrition Education program, 32 fourth- through sixth-grade student leaders were brought together from three schools in Santa Maria, Calif., for a full-day educational retreat that focused on engaging youth to explore their healthy lifestyle interests and see themselves as leaders. 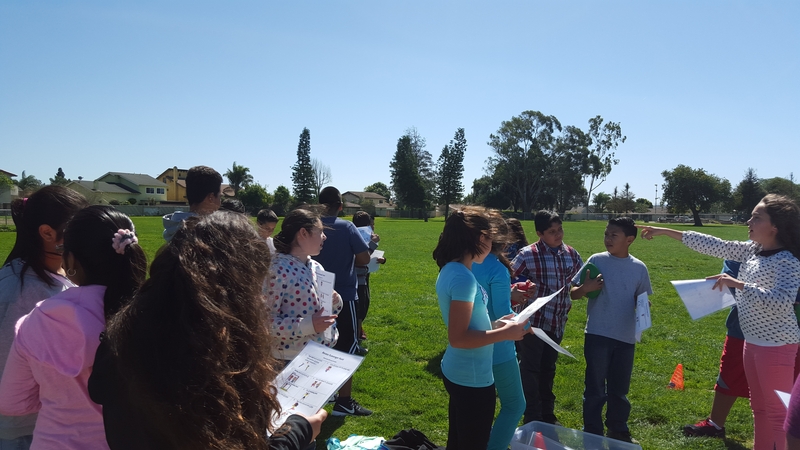 Throughout the day, student leaders experienced physical activity games, learned cooking skills, participated in garden-based learning, and developed their presentation skills. They focused on skill development, as well as transference so that the student leaders could take these activities into their own schools to encourage and teach their peers. For example, the fun physical activity breaks that were incorporated throughout the day modeled games where no one is “out” or excluded, while moving enough to get heart rates up. After the retreat, the student leaders brought these activities to their own schools, leading their peers in the games during lunch and recess breaks. During the retreat, the student leaders also got to practice knife safety skills while chopping produce to prepare their own veggie pita pockets and fruit salads. With these skills, the student leaders offered food demonstrations and nutrition lessons to their peers during the following weeks. In the garden, student leaders learned the basics of growing food and how to lead a garden lesson. Students discussed garden tools and how to use them safely, then planted their own seeds to take home. 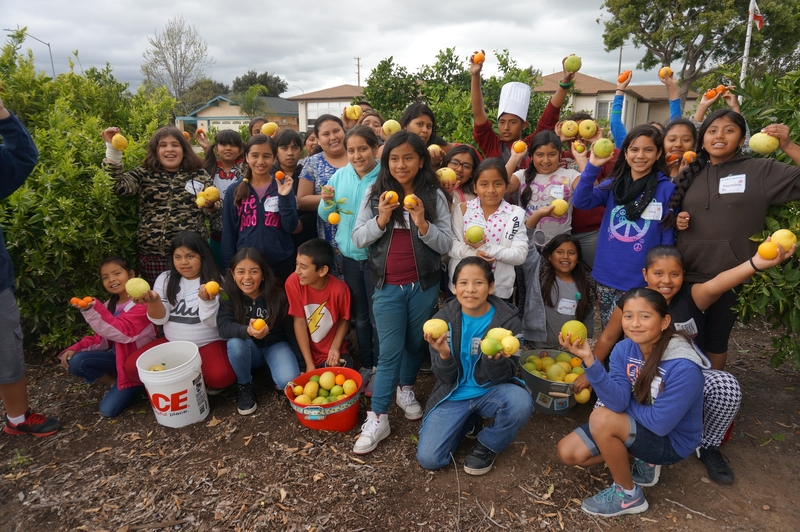 The garden session ended with a gleaning of the school citrus orchard where students laughed and enjoyed the fresh air and fresh fruits growing around them. In their own school gardens, the student leaders have offered lessons and tastings to their peers. 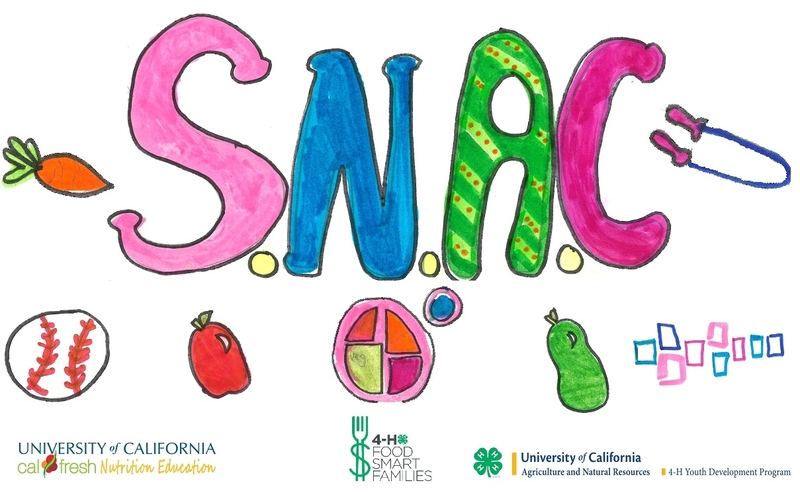 Student Nutrition Advisory Council logo. The retreat culminated with youth presentations. The student leaders worked in teams with students from different schools to generate ideas and artwork for the Student Nutrition Advisory Council (SNAC) logo and t-shirt design. They presented their concepts to the larger group, practicing their presentation skills. The student leaders voted on the designs and a winner was selected to be featured on a t-shirt for SNAC leaders at each of the three schools. The students leaders proudly wear their shirts as they lead healthy living education, advocacy and engagement activities. By the end of the retreat, the student leaders were excited to take the information and skills back to their schools and start leading. Students shared their plans to help other students be more active during recess, be healthy, and help other kids be healthier too. “This was the best day I have ever had,” said one of the students. Since the retreat, the student-led initiatives have been numerous and continually evolving. The sixth-graders have encouraged and trained younger students to become their successors as they move onto junior high. Several students co-authored and starred in a video production called “Get to Know Your Salad Bar.” With educator encouragement, the student leaders developed a script to motivate their peers to try out the salad bar by mixing fruit into their salad to make it sweet or putting lettuce and tomato on your hamburger to make it juicy and crunchy. Beyond leading in their own schools, the student leaders have been working to help their entire community. Many of the student leaders helped organize and conduct game-style nutrition activities at a local food pantry distribution to teach families about shopping for healthy foods on a limited budget. Other student leaders provided education and training to students at neighboring schools, encouraging them to become leaders as well. Through the efforts of the Food Smart Families program, the Youth, Families, & Communities program in San Luis Obispo & Santa Barbara counties merged the strengths of the UC CalFresh Nutrition Education program and the UC ANR 4-H Youth Development program to provide new opportunities and experiences for students in this community. 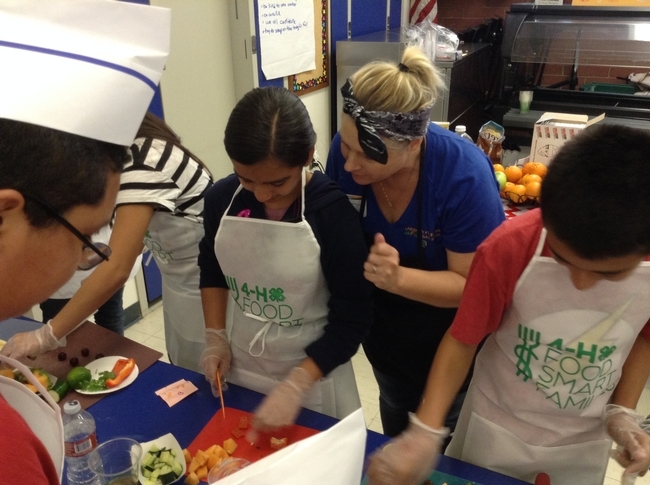 With interested and caring adults, these student leaders learned to share their passions for cooking, gardening, and healthy lifestyle with their peers at school and others in their community. The rewards for the school, community and adult allies continue to expand as these inspired student leaders, with strong mentorship and support, take on some of the biggest challenges facing our society and world.